Columbus appears to be over its handlebars for CoGo, the city’s newest bike share program. Another move in Columbus’s courtship of the growing cyclist population, CoGo is an obvious step towards supporting pedal-powered travel: a $2-million-dollar bike share program, with special bikes located at 28 (soon to be 30) special “docking” stations across the city, available for anyone’s use at any time of day. The program is enticing for citizens who value non CO2-emitting transportation and healthful living, or cities that generally try to stay hip to metropolitan trends. The first 300 CoGo bikes have the potential to change more than just the calves of Columbus’s public. They could be a profound step toward smoothing over tensions between classic archenemies in the world of transportation: People in Cars and People On Bikes. To operate a CoGo bike feels like riding a stripped-down motorcycle. Passengers sit upright in an ample seat that is just as comfortable as it is skirt-friendly. They’re monsters, weighing in at 50 pounds, but are incredibly easy to pedal. Wide tires provide a smooth ride even when passing through German Village’s brick streets, and regularly tuned mechanics mean these cycles can move at a decent clip. Other perks include a basket secured with bungee cords, three-speed (totally adequate for city travel), front and rear lights powered by pedaling, and a bell. The real challenge: returning the bike to a CoGo station 30 minutes after plucking one from the dock. Investigators from the Ohio State Highway Patrol say the vehicle believed to be involved in a fatal hit and run crash in Delaware County on Sunday has been located at a home in Delaware County. Troopers responded to a Delaware County home along Miller-Paul Road at about 8:30 p.m. Thursday. The vehicle matches the description of the vehicle that struck and killed 64-year-old Robert Lennon while he was riding his bike in the area of Miller-Paul and Robins roads. Troopers tell NBC4 the damage to the vehicle is consistent with the crash investigation. The vehicle was seized and taken to the Delaware post of the Ohio State Highway Patrol. Troopers and investigators are interviewing one person in connection with the vehicle. No charges have been filed at this time. According to troopers, deputies from the Delaware County Sheriff's Office responded to Miller-Paul on a report of a crash involving a deer and a vehicle. Responding deputies found the suspect vehicle and contacted troopers. A search warrant has been issued. It is unclear whether the warrant has been issued for the home or the suspected vehicle. The vehicle will be processed at the post, according to troopers. Lennon was a science teacher and cross country coach at St. Francis DeSales High School in Columbus. Anyone with information regarding the crash is asked to call the Delaware post of the Ohio State Highway Patrol at 740-548-6688. Slava Menn and Tivan Amour, the founders behind Fortified Bicycle Alliance, liked Kickstarter so well the first time that they're back once more, crowdfunding their latest generation of theft-proof bicycle lights. "I think it's a way to get in front of a huge audience and get immediate feedback," Menn told me. It's also been, for him and Amour, a pretty good way to get the money they need to manufacture bicycle lights geared to an urban audience. The first campaign, for their Defender lights, raised $84,000. This time the pair is looking to come out with Afterburner and Aviator, a higher end pair of brighter lights, and had raised $66,940 as of this morning, with 36 days to go. They've already beaten their $24,000 goal for the second campaign. Menn, a 2011 graduate of the MIT Sloan School of Business, says he and Amour had the idea for manufacturing rugged, theft-resistant, bicycle lights after a friend in Boston had their bike lights stolen and was hit by a car. The friend wasn't injured, but the pair thought there had to be a better way. This summer, I took my bike respite on the TransAm, from my backdoor in Missoula, to Florence, Oregon. I rode with my husband (pictured above riding from Eugene to Florence) and for two weeks I shut myself off from email and immersed myself in life on the road. Overall, I was really impressed with the route through Oregon (with the exception of an 18-mile section heavy with truck and commercial traffic). Most of the time, there were good shoulders and to my delight, none of them were overtaken with rumble strips. Upon entering Florence and making our way over the last three miles to the hiker-biker site at Honeyman State Park, my husband commented on the poor shoulders. There was debris and the paving was a mess — with a ridge down the center of the shoulder. But we only had three miles to ride and I thought it was probably an anomaly. We’d seen paving like this periodically during our ride so I didn’t dwell on it, figuring I’d talk to my contacts at Oregon Department of Transportation (ODOT) and State Parks and Recreation when I returned to the office. Crash detection sensors. HD video. One month battery life. One touch operation. CNC machined. Fight back with RIDEYE. IMPORTANT: 2X RECORD TIME UPGRADE ANNOUNCEMENT! We are excited to report that all base model RIDEYE cameras will now feature twice the video history we had originally specified. All existing and future pledges are eligible. Check the update for more details! RIDEYE Sample Footage from Rideye on Vimeo. Raw video shot on pre-production Rideye cameras. If I lived anywhere in the U.S. and rode a bike that cost less than about $1,000, I’d pick up the ~$42 Kryptonite Series 2 package, which comes with a u-lock and four-foot-long cable. Experts, users and the bike thieves that we interviewed agree that the Series 2 u-lock is strong enough to foil all foilable thieves. This isn’t an exciting, novel pick for the best u-lock but it is savvy. Experts, users and the bike thieves that we interviewed agree that the Series 2 u-lock is strong enough to foil all foilable thieves. It’s also light and comes with a stable, easy-to-mount carrying bracket that fits on virtually all bikes. Kryptonite’s accompanying “insurance”—costing $20 for three years—is the easiest to purchase, thanks to their rare online form. And it pays OK, too. In the event that some jerk destroys the u-lock and makes off with a bike, then Kryptonite pays the homeowners’ or renter’s insurance deductible or the replacement cost of the bike. The cable is just one more layer of security discouraging opportunists from nabbing a wheel or seat. In researching this guide, I heard surprising insights from bike shop owners, journalists and longtime riders. I also happened to talk to one nameless thief, one penny-ante thief and one power-tool-wielding professional—the man who very likely pinched my $5,000 custom-made road bike two years ago. So if you want to skip down to hear their take, beginning with Thief #1, I’ll understand. Then you can loop back here to what the other experts say. The consensus among those in the know was that a u-lock is best for virtually everyone, offering the highest ratio of security to portability. Unconventional devices like folding locks are intriguing, but so far none offer the security of a good u-lock. Chains sometimes offer a slight bump in security, but they often weigh twice as much and still relent to power tools. Let masochists wear belts of hardened steel; all our experts said a good u-lock is the sensible solution. But before we talked specific lock models, they also insisted we slow down. Most people don’t know how to use their locks, they said. Most people buy big, heavy expensive u-locks and then don’t secure their bike’s frame, or don’t lock to an immobile object, or worse. Videos like this and this and this drive the point home. Both the professional and petty thieves we talked to suggested that if a cyclist couldn’t take his bike inside, he should lock his bike in a different spot each day, making it harder to case out. And they encouraged people to ride cheaper bikes. After all, the resale value of a bike—and its expensive components—is what makes the thing worth stealing. In my experience most of the problems I encounter on a ride could be fixed with just a few tools. However, the tools are left behind either because they are heavy, not working or just too bulky for your jersey or seatbag. The real value of Fix It Sticks is the ability to buy 1 set of tools to use at home and the same set excels for use on the road. No more compromising! Fix It Sticks are able to get into very tight spaces by using a single stick to start a bolt, once in place, torque is applied with our unique T-handle design. Traditional multi tools lack proper engagement mainly because there are too many pivot points which leads to stripped out bolts and frustrating roadside repairs. Fix It Sticks bicycle multi tools are designed to be modular and customizable. Carrying sockets, wrenches, a magnifying glass, knives, etc can be a waste, just carry what you need. In the near future we will have many combinations of sticks to choose from. Allowing our customers to build a quality tool collection that is totally customized for use on the road or at home. Fix it Sticks are constructed of high-quality aluminum and steel bits. Order our made in the USA tool today and enjoy immediate shipping for FREE in the USA. International orders are available for a modest shipping fee. It was a lovely spring day and my friend and I were riding abreast on a quiet street, spinning and chatting easily. Somewhere, Edvard Grieg's "Morning Mood" should have been playing. Then from behind us came an urgent honking. Before we could rearrange ourselves in single file, the driver accelerated alongside us, leaned across her passenger seat, and shouted: "What you're doing is very dangerous!" Dangerous? We were hardly juggling knives here. As far as I could tell the only threat to anybody was the two tons of Swedish steel, driven by an angry woman looking 90 degrees away from the road. Whether you're piloting your car, your bicycle, your Segway, or just your ­flip-flops, the paramount rule is: Be ­considerate of your fellow travelers. But what to do when that mutual tolerance breaks down, as it sometimes does on the road? A sidewalk tête-á-tête is too fleeting and fraught to attempt to forge a lasting peace. Instead, it's best to treat a conflict like an early breakaway in a race and just let it go. Here are four hard-won tips, learned over two decades of pedaling around New York City, for avoiding altercations—plus a few words on how to resolve them if it's too late. Do No WrongCyclists are often the most vulnerable party in an altercation, but we're not always saints. Did you coast through a stop sign? Swerve across the street? Or ride against traffic? Head off potential problems by following the law. Anticipate Bad DrivingThat driver should check before flinging open his door, but he won't. He's also likely to speed though an intersection before (or just as) the light turns red, or cut you off by making a sharp right turn. Reduce the chance of an accident by riding defensively and expecting the worst. Don't Fuel the FireArguing with an irritated driver can make a bad situation worse. It's best to remain calm, say nothing, and keep riding. If things get ugly, stay safe and call the police. Know the SystemLearn local traffic laws that affect cyclists. If you are in an accident or altercation, be sure to get the driver's name, address, and insurance info. Also record the names of any police officers and witnesses. Get a copy of the accident report and make sure the information is correct. As New York City redesigns its streets to be more bike and pedestrian friendly, the people who are still driving are getting a bonus: they're going faster. There’s few surer ways of stirring controversy in a city or neighborhood than to bring up the topic of new bike lanes. Cyclists love them obviously, but drivers will get all riled up about the road space or parking space they are giving up. Dare to peek at comments on a listserv, and it can be all out warfare between two- and four-wheeled partisans. New data from New York City’s Department of Transportation, however, could help calm tensions. Bike lanes and pedestrian improvements are actually good for drivers too: They ease congestion and speed up traffic, the agency's analysis of GPS data from taxi cabs shows. Streetsblog looked in detail at the data from the city’s annual “Sustainable Streets Index,” which reports traffic trends since 1990. In Manhattan below 60th Street, predictions that reallocating space to walking, biking, and transit would only worsen traffic have not come to pass. In fact, average traffic speeds have picked up. GPS data from yellow cabs below 60th Street show that average speeds are up 6.7 percent since 2008. The average speed of a taxi trip, which was 8.9 mph in 2011, inched up to 9.3 mph last year. The slightly faster trips weren’t the result of fewer cars on the road either, which has remained about the same from 2008 to 2011. The cycling culture wars, which in New York have been exacerbated by Mayor Michael Bloomberg’s hard push to remake the streets in favor of cyclists, mass transit riders and walkers, are unlikely to ease with merely more data. Consider the reactions of hardened drivers Abdullah Muhammed, who spoke to the New York Times: “They cut the streets in half to have people sit." He then gave the reporter a “lengthy smirk” and a nod at the clogged traffic, when the paper asked if this made driving more difficult. A representative of the Automobile Association of America in New York suggested to the paper that if congestion is down, it’s because drivers are simply giving up trying to get through the area. No one will say it out loud, but maybe that's the real point. The Atom is specifically designed to output a high quality, USB compatible 5V @ up to 500mA. In English, that means that if your device can be charged with a USB connection (iPhones, and iPods, Galaxy phones, GPS trackers, etc. ), then it will take a charge from the Atom. The 500mA charge rate is the same as the USB output from your computer, which means your device will go from fully flat to fully charged, just as fast on the bike as it would sitting on your desk. We worked hard to keep the Atom low profile. Weighing in at only 300 grams, it is 7.5” tall, 3.0” wide, and 1.2” deep, including all component parts. We like to think of it as a beefy iPhone. You want the information you need in a clear and distilled manner. We designed Hammerhead to show you everything you need while not distracting you with text, small graphics or the need for headphones. We developed cues and signals; much like those used by racecar drivers or fighter pilots. It works well in all light and weather conditions. You can even customize the light array within our app to suit your preferences. Pull out our app. Discover a great ride based on your preferences: hills, distance, scenery or difficulty. Hammerhead will guide you through the route seamlessly with safe, simple, and intuitive turn-by-turn instructions. Know an awesome ride? Or a better way to get through a city? Share your favorite rides with friends and the community. Our app makes it dead simple to send routes to others. Instead of just talking about it, share that ride that you know so well and get rewarded in the app for your contributions. Distance to turns. Distance to destination. Distance to top of a climb. U turn. Segment start and end. Relative segment speed. Primary turns. Right & left. Exit at a circle. Red dot sliding compass - for accurate off road navigation. Bright headlight: Night visibility. Can be dimmed or flashed. Side lights: Indicate turns to cars. Side visibility. We are big fans of Strava, MapMyRide and some of the other biking apps out there. We believe you should experience them in real time. Hammerhead gives you turn-by-turn navigation from the routes and segments that you want to ride from your favorite app. We believe that competing in real time beats waiting to see how you did when you get home. Hammerhead will show you your start, end and goal speed for each moment in a segment, and how far off it you might be. Don’t compete blind. Make your efforts count. Hammerhead guides you to meet up with riding buddies that are out on the roads. 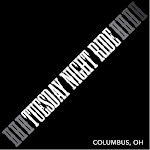 Join group rides without having to coordinate meeting times and locations. Hammerhead is also at home on the trail. Its internal compass and unique red dot pursuit will guide you through the wilderness. Navigate anywhere from trails to the open desert. All with the same safe and simple turn-by-turn light instructions that you’ve grown to love on the roads. Our app is ultra efficient, and your smartphone screen remains off. Your smartphone will run for over 5 hours while working with Hammerhead. As for the device itself,we built in the latest LiPo technology to ensure the Hammerhead will last for over 20 hours before recharging via micro USB. Because Hammerhead uses your smartphone’s GPS system, you get a more accurate GPS reading than you would with most standalone GPS units. Don't stand around waiting to acquire satellites -- go ride. Our app pre-loads route information. Venture into the unknown without needing cell service to navigate. The new bike share systems arising nationwide are awesome. We have designed Hammerhead to be able to snap right onto them and guide you around through the urban maze. Hammerhead will even show you how much time you have left on the bike as well as take you to the nearest available docking station with ease. Make urban bike share a complete solution. The Hammerhead is more than a year deep in development and testing. It is a truly unique product - there is simply nothing like it. It solves a really big problem – safer, more efficient bicycle navigation – while being really affordable. We need your support to enable us to scale Hammerhead and get it to you. We have partnered with the best minds in manufacturing and software to get you this revolutionary product for the spring riding season. Share this page with your friends who bike. They will thank you for putting them at the cutting edge. Back it and become one of the first to have social bike navigation. Together we will unlock the safe, awesome biking routes that are hiding in plain sight.